The RP Photonics Buyer's Guide contains 17 suppliers for etalons. RP Photonics has the powerful RP Coating software, which can be used for designing etalons of any type. See a case study as an example. An optical etalon (also called Fabry–Pérot etalon) was originally a Fabry–Pérot interferometer in the form of a transparent plate (often made of fused silica) with parallel reflecting surfaces (solid etalon). However, the term is often also used for Fabry–Pérots consisting of two mirrors with some air gap in between (air-spaced etalon). Figure 1: Tilted solid etalon in a laser beam. When inserted into a laser beam, an etalon acts as an optical resonator (cavity), with the transmission periodically varying with the optical frequency. (Strictly, the transmission is not exactly periodic in frequency due to chromatic dispersion.) In resonance, the reflections from the two surfaces cancel each other via destructive interference. The highest reflection losses occur in anti-resonance. The transmission versus frequency can be described with an Airy function, which approximately fits a simple sinusoidal function for not too high surface reflectivities. The resonance effects occur even with some tilt (Figure 1), provided that the tilt angle is so small that the overlap of counterpropagating waves is not significantly reduced. The tilt angle can then be used to control the resonance frequencies. An etalon can therefore be used as an adjustable optical filter, e.g. for tuning the wavelength of a laser. 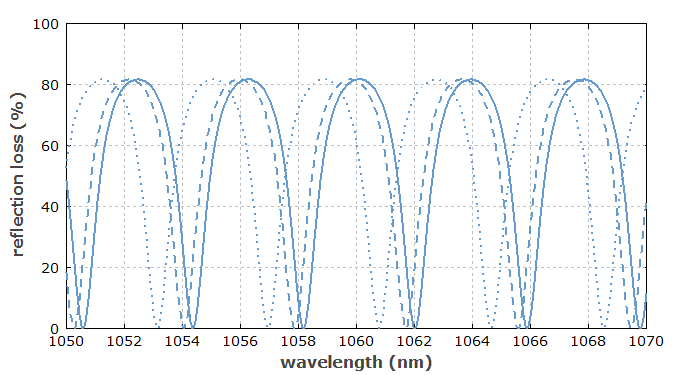 Figure 2: Transmission spectra of an uncoated 100-μm thick fused-silica etalon for normal incidence (solid curve), and for tilt angles of 2° (dashed curve) and 4° (dotted curve). 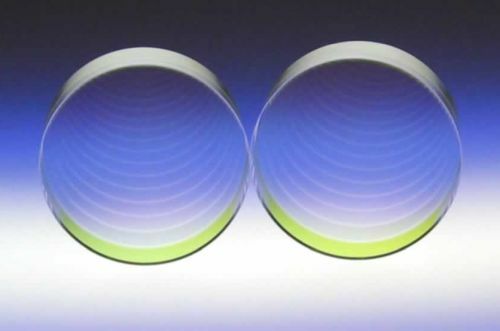 The reflectivities of the etalon's surfaces may simply result from the refractive index discontinuity between the etalon material and air (Fresnel reflection) or may be modified with a dielectric coating. By increasing the reflectivity, it is possible to increase the finesse, i.e., to sharpen the resonances without reducing the free spectral range. The effective finesse of an etalon may not reach the value which could be expected based on the surface reflectivities: it can be reduced, for example, if the reflecting surfaces are not perfectly parallel and flat. For high surface reflectivities, one may require an extremely high surface quality (low roughness) to realize the theoretically possible finesse. A reduced finesse can also result from using a too small or not properly collimated beam, a too large tilt angle, or a reduced beam quality. 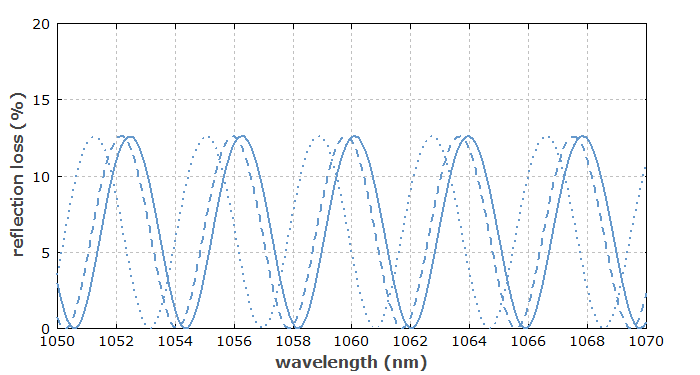 Figure 3: Transmission spectra of an etalon as before, but with a 40% reflecting coating on both sides. When operated away from resonance or anti-resonance, an etalon provides chromatic dispersion. This is exploited in some dispersion compensation modules for optical fiber communications.